The latest in the field of tooth implants is the instant dental implants procedure. Also, called as immediate load teeth implants or same-day dental implants. While the traditional teeth replacement procedure requires multiple surgeries over the course of one year for placing the implants and implant restorations, the latest techniques of teeth implantation allow you to walk out with beautiful teeth in a couple of hours. Also referred to as same day, one-day or single day dental implants, it is the procedure that significantly cuts short the treatment time for teeth implantation. 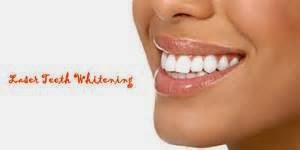 - quick and convenient because it reduces the number of dental visits. - It prevents further bone loss and gum recession. - Enables you to smile, chew, and speak immediately with clarity and confidently. - Immediate load dental implants do not affect the adjacent teeth in any way. Hence, your own natural teeth are left untouched. - It eliminates the need for bone grafting. - Following the surgery, you require minimal time for recovery. Anyone thinking of dental work to get missing or broken teeth replaced but doesn't have time to make multiple visits to the dentist, immediate or same day implants is the best option. Contact Us for your appointment Today!